Babies love to put things into their mouths; especially when they are teething. These Pacify Mama stylish teething jewelry sets are perfect for both mom and baby. The soft food-grade silicone used in the necklace and bracelet won't hurt emerging teeth or sensitive gums. This product contains no BPA, or latex, and is Metal Free. It comes in three fashionable styles: Tantrum Turquoise, Cuddling Coral, and Midnight Twinkle. These set colors makes it easy to match with most outfits. 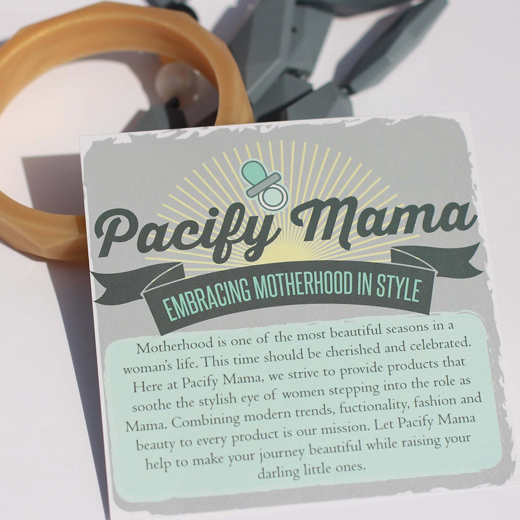 What Oma loves about the Pacify Mama jewelry is that it is always conveniently available. 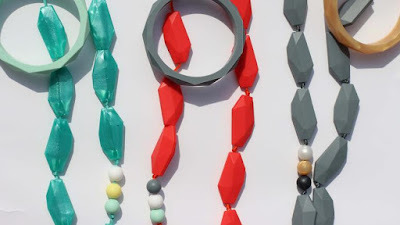 The necklace and bracelet prove a seamless distraction for fussy babies. Tip - Inspect jewelry for any loose beads or damage each time before wearing; if damaged discard immediately. This item is intended to be worn by adults. Wash before first use. Choking hazard do not leave child unattended with product. Do not use at nap or nighttime and never use in a crib, travel yard or bed. Wash before first use. This item is intended to be worn by adults. Choking hazard do not leave child unattended with product. Do not use at nap or nighttime and never use in a crib, travel yard or bed. 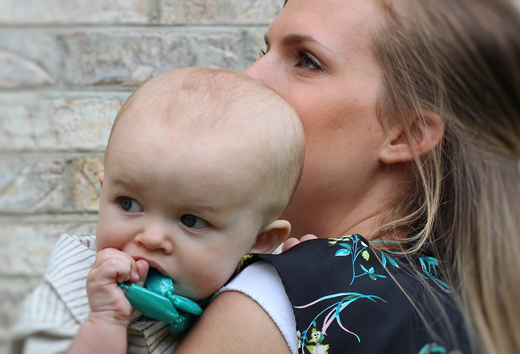 This company began with the desire and passion to bring a jewelry product to women that find themselves putting away their "good stuff" in fear that it will be broken or cause harm to the little ones.